The 2017 Toyota 86 offers Santa Ana and Culver City drivers rear-wheel drive, sculpted lines, a potent engine, and engaging handling. Essentially, it provides everything that a true sports coupe should, and it’s available now from Marina Del Rey Toyota. The 2017 Toyota 86 has been designed and constructed to meet the needs of a specific kind of driver – one who takes the average A to B as a chance to get their blood pumping. There’s little need for different trim levels, so the 86 offers only one, and it’s designed to cater to all of your needs. 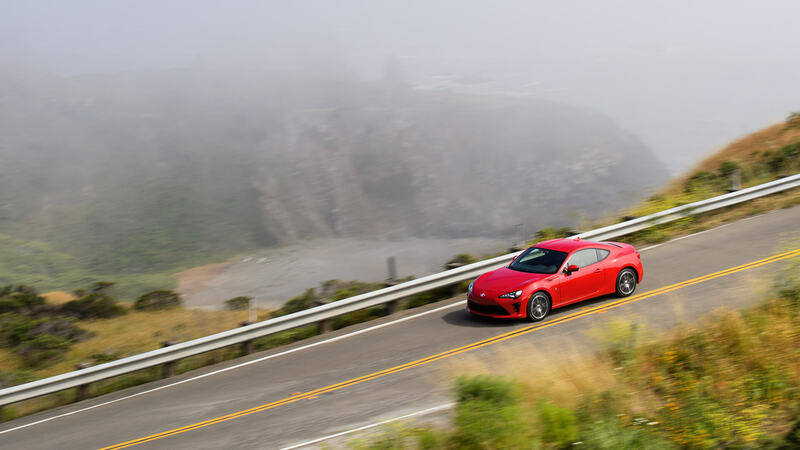 The central appeal of the 2017 Toyota 86 is an engaging and heart-pumping ride, so it naturally delivers a higher degree of power than you might expect. At the heart of each model sits a state-of-the-art 2.0L four-cylinder engine. Pistons are horizontally rather than vertically opposed, ensuring reduced vibrations and smoother operation, and the engine has been placed low in the chassis to maintain optimal balance. 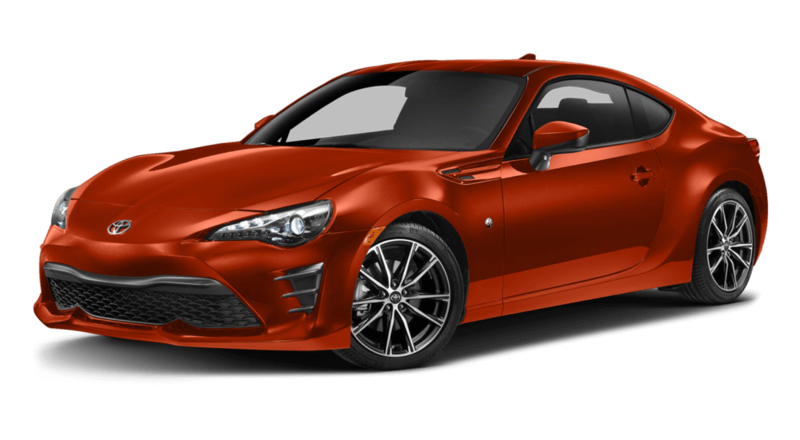 When you hit the gas, the engine will enliven the 86 with up to 205 hp and 156 lb-ft of torque with a manual transmission or 200 hp and 151 lb-ft of torque with an automatic transmission. 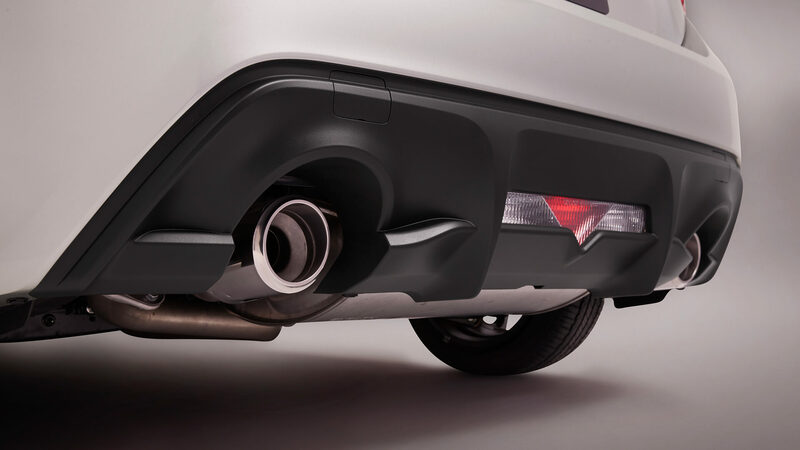 Channeled into a vehicle that has been painstakingly designed to slip through the air and capably grip the road, that kind of output delivers mesmerizing results. 21 mpg in the city and 28 mpg on the highway* with a 6-speed manual transmission. 24 mpg in the city and 32 mpg on the highway* with 6-speed automatic transmission. Fleet-footed and sleekly styled, the 2017 Toyota 86 makes its intentions known as soon as you set eyes on it. 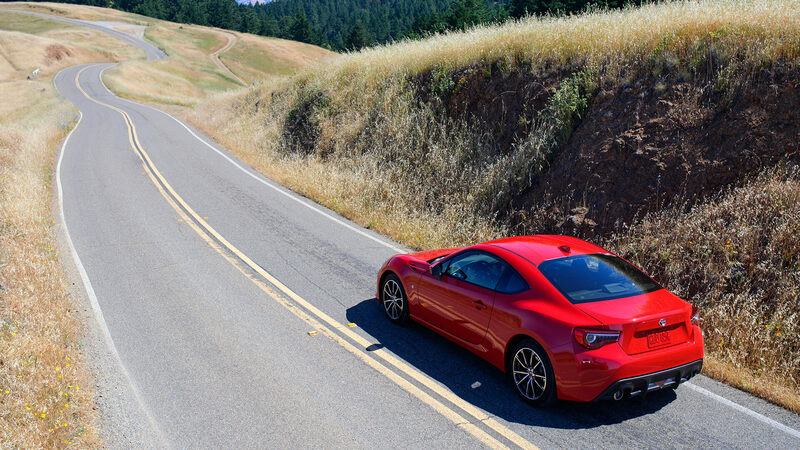 A long hood, short rear deck, large chin spoiler, and integrated canards all speak of the 86’s performance — they also help it achieve a phenomenal drag coefficient of just .27 Cd, with a revised sport-tuned suspension ensuring calm, confident control. The interior also shines. Toyota has clearly developed the cabin with the driver in mind, so expect generous headroom and legroom, plus a dash and control system centered around your own point of view. All-new Granlux trim accents are found throughout the vehicle, and you’ll find an embossed “86” logo above the passenger-side glove box. 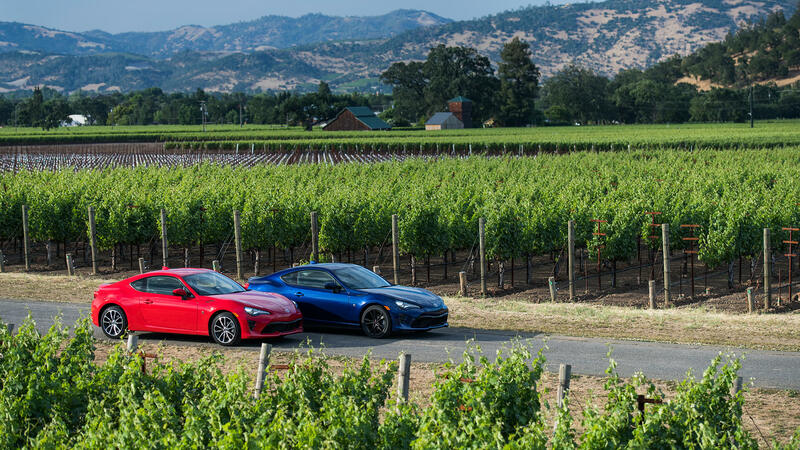 Rearview Camera: The 86 is about having fun, not craning your head to see what’s behind you. Whenever you enter reverse, the rearview camera will display a live feed of the area behind your car. 86 Display Audio: Control anything from music to Bluetooth handsfree calling from a high-resolution 7-inch touchscreen display. It also offers Aha Radio, iPod connectivity, voice recognition, and HD radio. 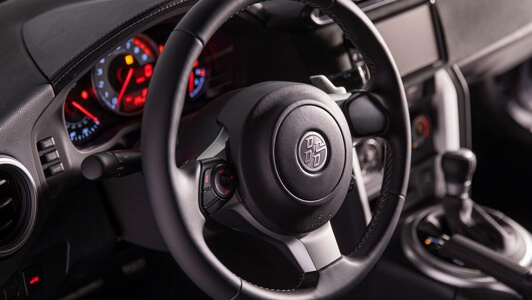 Leather-Wrapped Steering Wheel: You’ll know you’re about to experience something special every time you put your hands around the 86’s leather-wrapped steering wheel. Its reduced diameter and quick-ratio steering evokes the track more than the road, and you’ll find integrated control buttons for your audio system. When you get right down to it, the 2017 Toyota 86 is a car that you simply have to experience for yourself. To do just that near Santa Ana and Culver City, or for more information, visit Marina Del Rey Toyota today. * 2017 EPA-estimated mileage. Actual mileage may vary.